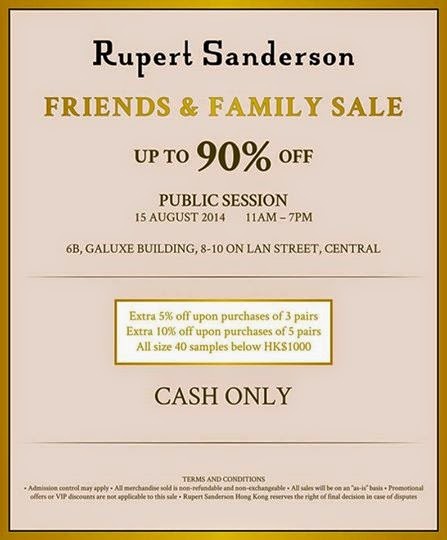 Rupert Sanderson's sale is going to be extended one extra day tomorrow, so you can still get your shoe fetish on this Friday. 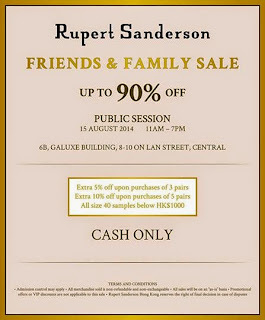 Anyone who is a size 40 or can pretend to be a size 40 needs to be there, STAT. The 40s are going for a fraction of the price of the other sizes (talking like, $500 bucks up) because they were press samples (surprisingly good condition for samples) and there's so many of them!